Reading's league games continue to come along like buses after the International break as the Royals attempt to haul themselves away from the Championship relegation zone as Sheffield Wednesday visit the Madejski Stadium this Saturday. After two good wins in the league, the Royals were defeated by Wolves and then only managed to pick up a single point at strugglers Bolton on Tuesday night. The two wins took the pressure off Jaap Stam, but he will be feeling it again unless Reading can collect all the available points against a mid-table Wednesday side that find themselves unbeaten in five matches. Reading found themselves two goals down at Bolton and looked set to drop all three points before a late recovery. Liam Moore pulled a goal back for Reading with 14 minutes left to play before Bacuna stuck home a penalty seven minutes later to salvage a point. 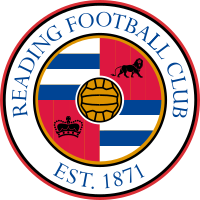 There was nearly time for Reading to throw it away again and Jaakkola, making a rare start in goal for Reading, was forced to make a couple of saves including one from point blank range from former Royals Adam Le Fondre deep in stoppage time. The match was all too familiar with Reading back to dominating possession but the opposition looking more likely to find the back of the net. Part of Reading's problems, once more, was the lack of a striker on the pitch. Kermorgant was ruled out against Bolton and Bodvarsson was only brought into action on 66 minutes. England youth player Danny Loader was included on the bench but didn't get to see his first league action. Either Kermorgant or Bodvarsson are expected to make a start against Sheffield Wednesday with both players expected to be fit. Joey Van den Berg will be available for selection again. Last season Reading took the full six points from the Owls with a 2-0 victory on the road and a 2-1 win at the Madejski. In that game, back in December 2016, with Reading struggling to create chances, Roy Beerens scored two goals in the second half with the visitors only getting a late consolation goal. Reading have had some impressive scorelines at home against Sheffield Wednesday in recent years with a 6-0 win in September 2008 followed up by a 5-0 victory in February 5-0. We won't be expecting anything like that this weekend - any kind of win would do. Another Saturday home game and today it's the might of the Owls that will be turning up to provide the opposition. Not really very many league games played with Wednesday since 1920. Only 20 games in total, pointing at just 10 seasons together in the same division, and no league games at all played before 1976. 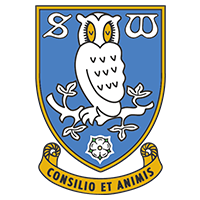 In fact 16 of those 20 games have been played since 2002 so Sheffield Wednesday have been reasonably regular opponents since then. Reading's home record against them is usually a decisive one with only 1 game ending all square. Reading have won 6 and lost 3 of the 10 league games played in Reading scoring 20 and conceding 8 in the process. Uninteresting facts to note from those games, so far, is that if Reading score they don't lose. Trouble is getting to score a goal in the first place though…. I really hope they come here and really go for a win. They surely need to get wins themselves if they want to get in the play offs, so I don't think they can sit back and play for a 1-0 win/0-0 draw like Barnsley probably will. As usual with us, its all about getting the first goal. If we do so, we should win. If we don't, I expect another defeat. after a poor 2-2 draw at Bolton, this really is a must win. Going way back I can remember 2 specific games at Elm Park and we were seldom in the same division as them. One was an FA Cup game when a high-flying top division Wednesday played us and won 3-2(?) with Jim McCalliog scoring the winner late on. The other was a Friday night league game when Wednesday were doing really well IIRC under Jack Charlton (? )-there was loads of snow about and we may well have lost 1-0 or 2-0 but there followed a treacherous journey back to the South with my young daughter delighted because of the snow but with me skidding all over the place driving my mini. I know it is meant to be cold on Saturday but hopefully there will be no snow. no forecasts of snow down our way, only oop north. currently shows as about 6c and sunny. The Friday nighter of which you speak was a 1-0 defeat at Elm Park on 21 Dec 1976, it was the very first league game between the two teams. Forestieri and Boyd injured. but can still call on Rhodes, Fletcher and Hooper. expect them to throw on that big monster Nuhio up front too if we are winning with 10 minutes to go. Oh for those attacking options. Interesting you prefer Ilori to McShane. I'm afraid Ilori has turned into a huge waste of money, and his disinterest in the Wolves game was, frankly, criminal. His recent head injury is no excuse. If he declares himself fit to play, he should put in a proper shift. Sadly we have too many "players" who should be nowhere near a professional football club in Ilori, Clement, Blackett and Beerens. I agree with Ilori, Blackett and Beerens these guys are not up to it for some reason but i do like the look of Clement and if given a run in the team i think he could do a job just off the striker. He's got plenty of skill, in fact i think his problem is that he is to smart for some of his team mates and they are often on a different wave length. Baffled by statements like that. Ilori has had a handful of good performances for us, including an absolute blinder in a play-off semi final. But, now he should be "nowhere near a professional football club"?